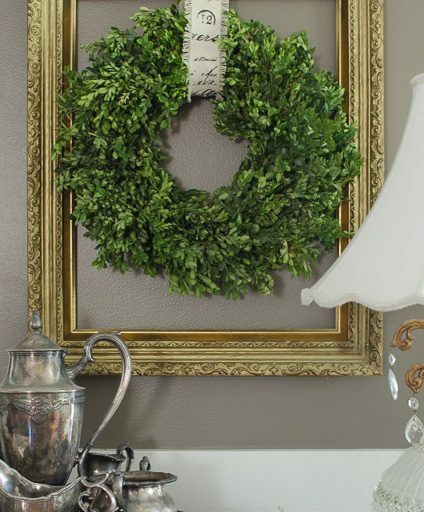 I have always loved the look of a boxwood wreath. 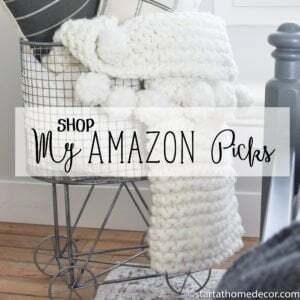 However, the price tag is not in my budget! So what do you do when you desperately want something, but can’t justify the cost? You figure out how to make it yourself. 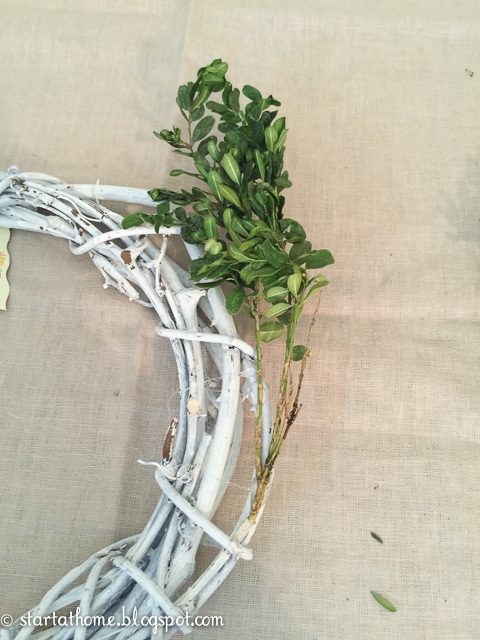 Here is how to preserve and make a boxwood wreath on a budget! And since my mom has a whole hedge of them in her backyard… I pruned them for her this year and was able to take some home! 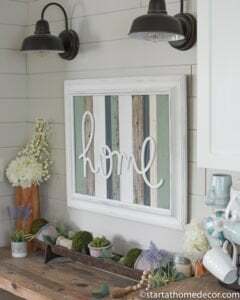 Learn to make your own, too. 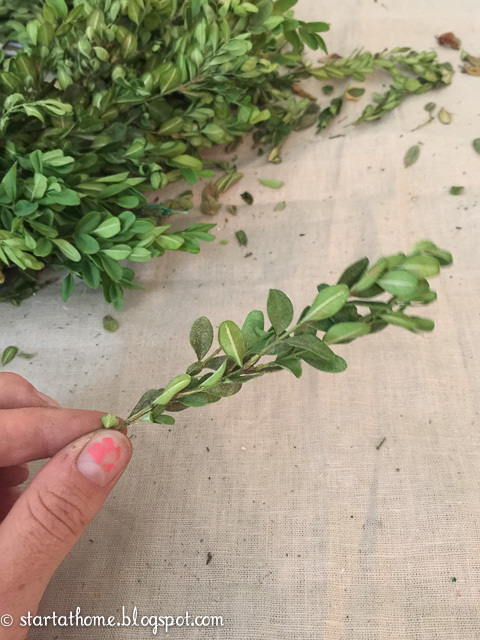 First things first, you need to make sure you preserve your boxwood branches correctly. 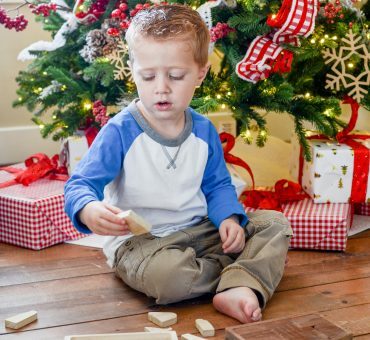 This takes at least 3 weeks – so you need to plan accordingly. If you don’t they will turn a yellow brown color and they will become very brittle! You can see my preservation tutorial here. Step 1: I started by gluing my branches to the outside edge. Step 2: Continue to fill them in as you work your way around the wreath. I did make sure all my branches were facing the same direction. Here is what my wreath looked like after I finished the outside edge. I still have work to do on the inside edge! 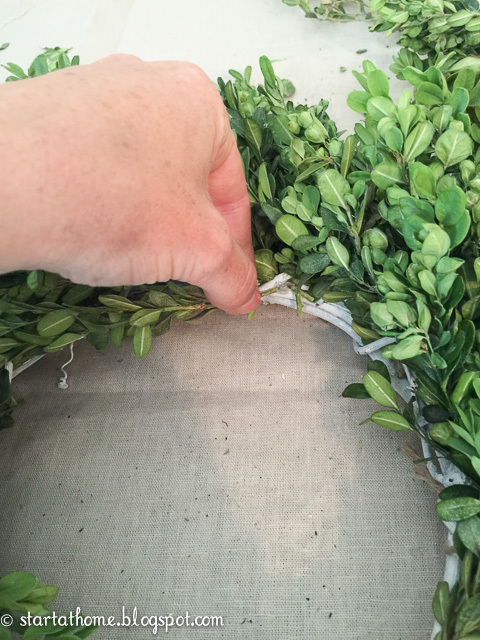 Step 3: Once the outside is done, begin by filling in the inside of the wreath to cover all of the white. 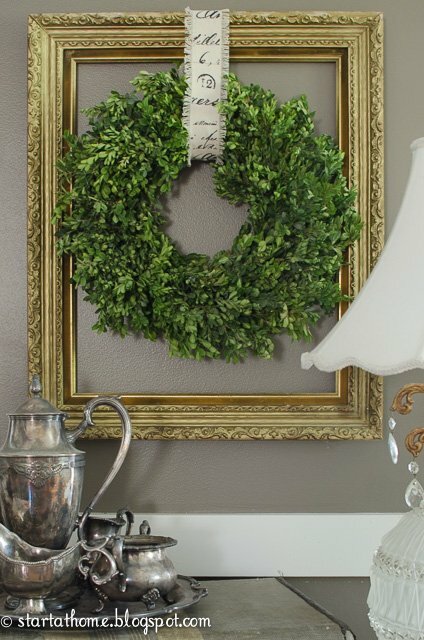 This is done by simply using the same process and following the inner border of the wreath. You can overlap the ends of the branches if you don’t want those to show. 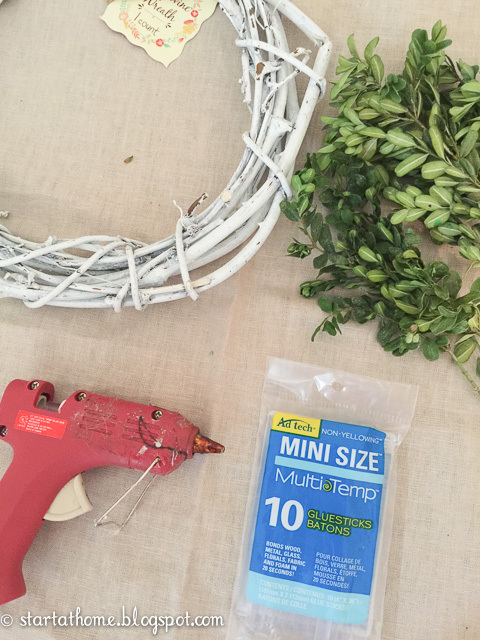 Step 4: After the wreath is covered, use smaller pieces to fill in the gaps and make the wreath look more full! Step 5: Add a ribbon and TADA! 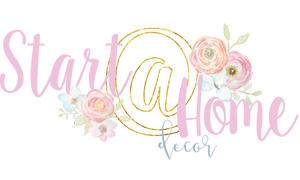 You get a beautiful Boxwood wreath for under $5! 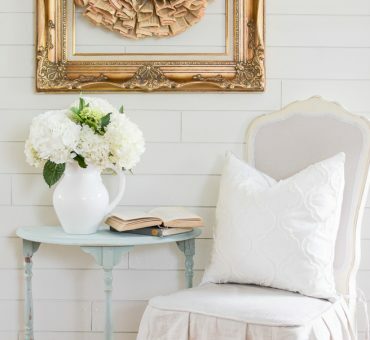 I also added a frame around mine to create a larger focal point. This boxwood wreath stayed green for about 6 months. After it started to brown a little I used a green spray paint to keep it green. It still hangs in my house! 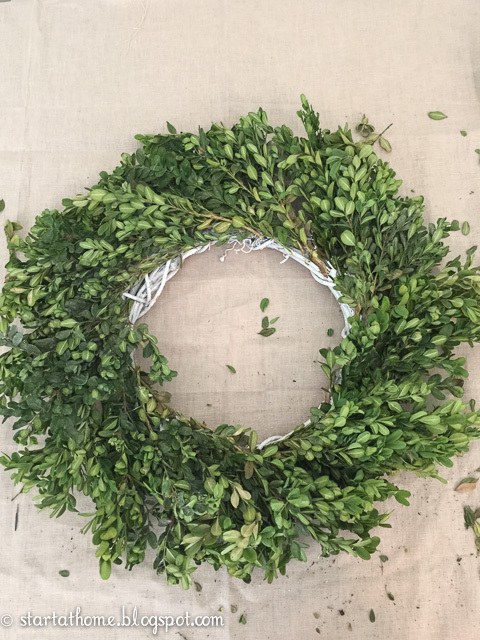 You can preserve and make a boxwood wreath on a budget too! 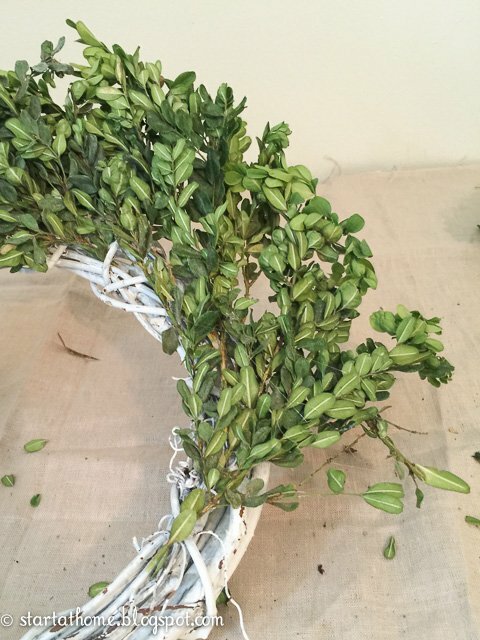 About how many boxwood branches did you use for the wreath?